Most people want to make their rented homes comfortable and personal not spending too much money. Some people see rented apartments as a temporary place before they buy their own homes and some people prefer living there for years and see their rented places as true homes. 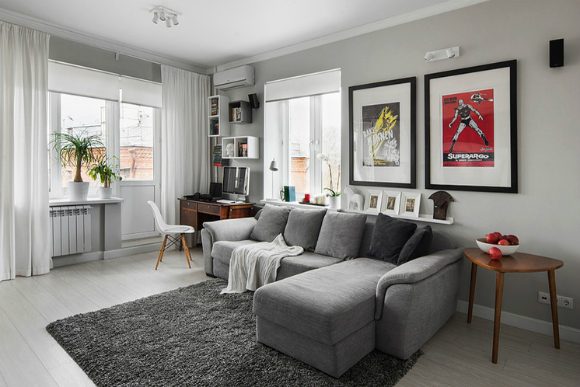 Renovating a rented place is not always an option, but there are many other ways to make it more comfortable and more personalized. Rented apartments are usually not so bright: landlords usually either choose some neutral colors or don’t bother at all. One of the easiest ways to freshen your interior is to add some bright accents to it. Buy a small colored piece of furniture. Or recolor some of the existing ones (ask the landlord first, though). It can be anything your imagination wants here. 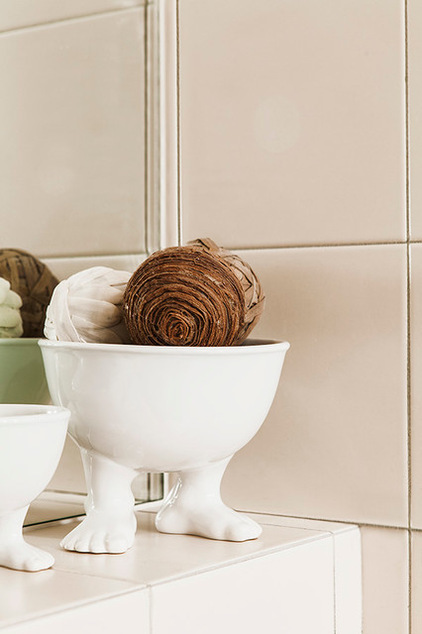 White color doesn’t only make a place look bigger, but also distracts from inexpensive finishing materials. White rooms look very stylish and clean. So, if you can, make everything white and add some bright accents for contrast. Besides adding a part from nature to your home, plants have another important advantage: they can renew and transform any interior fast and effectively. It can add something special to either designer apartment or old rented place. If you have a separate bedroom with a bed, buy pretty and unusual bed sheets. 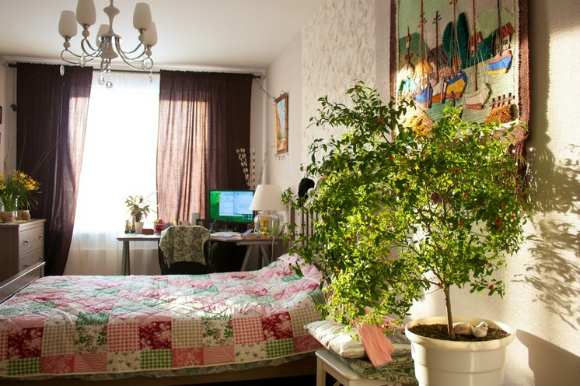 It is an inexpensive and effective way to improve a bedroom interior. You don’t even need a coverlet if you have those. If you are a fan of bedspreads, you have many options for making your bedroom more interesting. It can be anything from narrow blankets to large coverlets. Choose coverlets according to the apartment’s style; if it isn’t very expensive and has simple furniture, chick blanket would look inappropriate here. 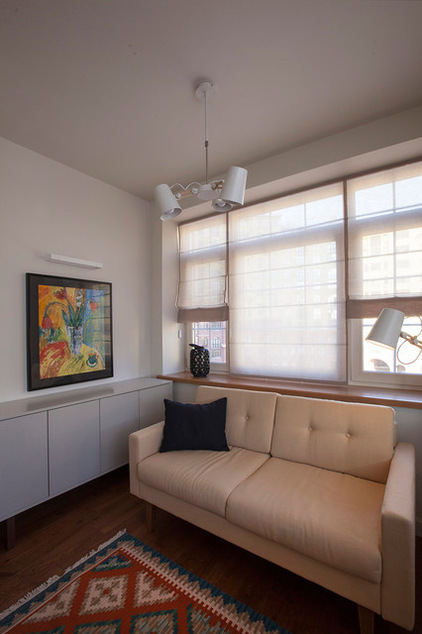 Curtains are also great for a fast change of interior design. Throw the old curtains away unless you are a vintage fan. Buy some new and interesting ones; they’ll make your interior more dynamic and bright. Go ahead to the style! 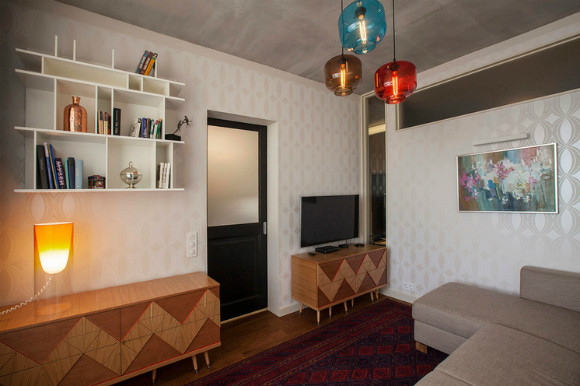 If you are sure you are in this apartment not for a couple of months, you can go ahead and complete the interior with the help of some designer items. Take a look at this great shelf for wine bottles and how much class it adds to the room. 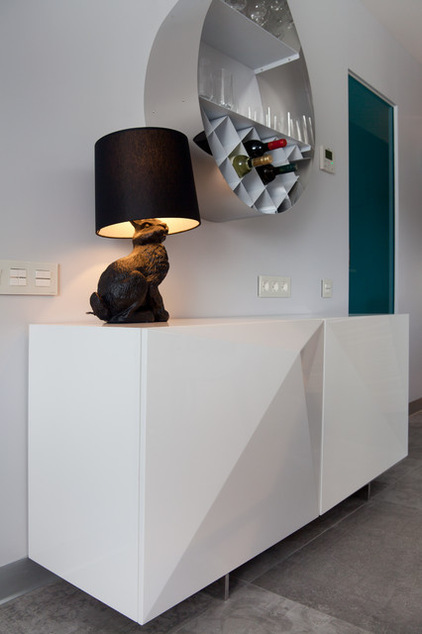 Or this lamp with a figure of a rabbit, isn’t it unique and stylish? Such things can actually be found in second-hand shops or antique stores. Light in the design interior is the main mood changer. The more light there is, the more positive and optimistic the atmosphere can be. If it is dark in your rented place, get some additional light. Don’t forget that ceiling and wall lamps are not just the source of light but also the parts of the design. 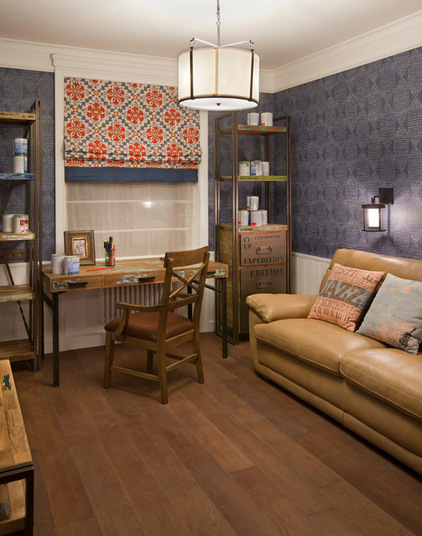 Making your interior individual means not only decorating it, but also making it your own. 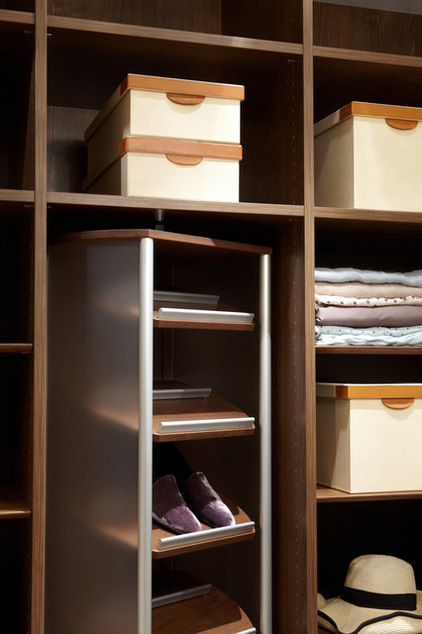 If there isn’t much place to store all of your things, think of some ways out. You can find quite inexpensive options here such as plastic containers, carton boxes, additional shelves, etc. Art as decorations have always been popular. Many people prefer paintings and drawings to photos. It is not necessary to look for authentic pieces of art as they can cost more that the apartment you rent. Any painting that fits the general view of the room will do. If you, your friends or even your kids create something, it can easily go to your wall. If you know nothing about and are afraid to make the wrong choice, decorate your walls with your favorite posters and prints that will suit the interior. If the images are of different size, it is even better; you can make the whole composition out of the small framed images. Humor is a great helper in a fight with a boring interior. 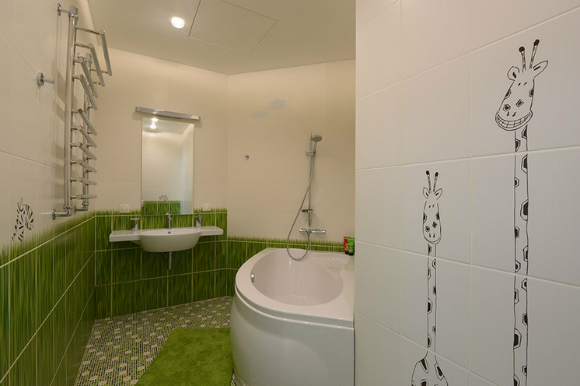 These cute giraffes seem peep at you in a bathroom. A great advantage of such a décor is that that these stickers are easy to put on a wall and to take off. You can choose any images you like. 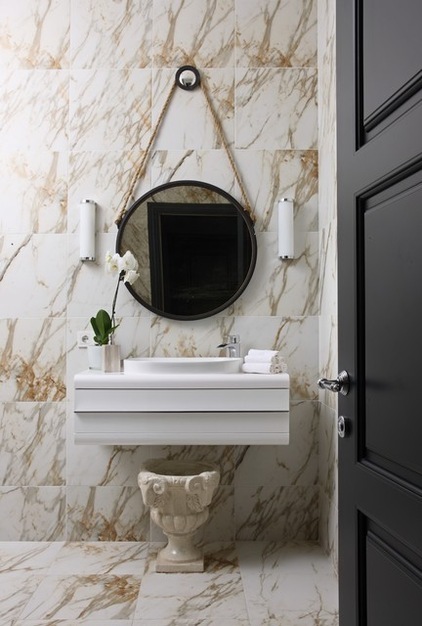 Your bathroom requires individual stile as well as other rooms in your rented home. Get a pretty curtain for your bath, a flasket, a rug, new towels, etc. Get everything that will make it look at home. You can also get a couple of funny soap dishes, cups for toothbrushes and other cute little things. 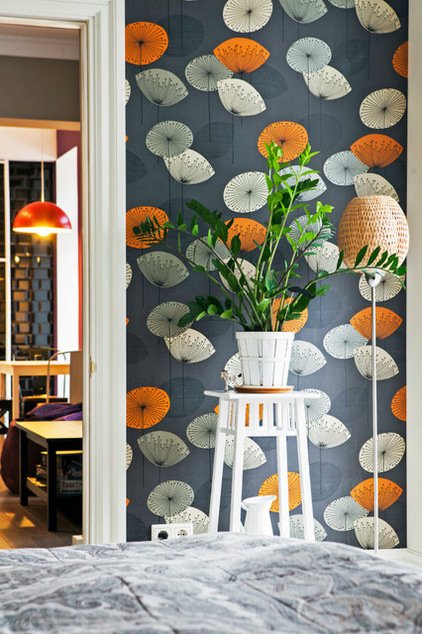 Living in a rented place doesn’t mean you cannot add your own personality and individuality into interior. Make this place your home even if you plan to move in a year. At least you spend this year enjoying your surroundings.